The International Federation of University Women (IFUW) offers a limited number of international fellowships and grants to women graduates for postgraduate research, study and training. IFUW fellowships and grants are open only to women graduates who are members of IFUW’s national federations and associations and to IFUW Independent Members. Students in any branch of learning may apply. Fellowships are offered for the second and subsequent years of a doctoral program and for post-doctoral studies. First year doctoral students do not qualify. Fellowships are for 8 to 12 months of work. They are intended to enhance the original research or scholarship on which a postgraduate applicant is already engaged. First year doctoral students and applicants just beginning their research are not eligible. Fellowships are the equivalent of 8,000 to 10,000 Swiss francs. Grants are for a minimum of 2 months of work. They are awarded for specialized training, independent research, or to assist in the completion of a postgraduate degree. IFUW Recognition Awards are for a minimum of 2 months of work. 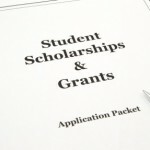 Grants are offered for any postgraduate program. The awards may be used in any country other than the one in which the applicant was educated and other then the one in which the applicant habitually resides. All candidates must have obtained admission to the proposed place of study or research prior to applying to IFUW’s competition. No assistance is given for attending conferences or for direct family support. The awards are not renewable.